$25 per 3 hour class. Mondays 6-9pm. 4 classes enrollment in advance includes textbook document. Walk-ins ok. Bring a friend. Pay with cash, check or paypal. 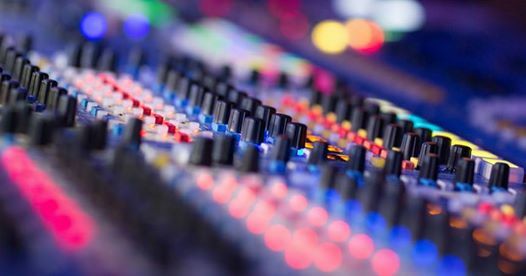 Live audio engineering basics for beginners, venue managers, event producers, musicians, instructors, worship producers, and anyone seeking tips from experienced live audio professionals in a highly interactive environment. You will be able to set up and operate a basic live sound system after the first class. After the full 6 weeks, many students should be ready for entry level tech jobs and internships. + Hands-On Classroom Training with professional gear. + Guest speakers and Q&A from top local sound companies and touring pros. + Employment and referral assistance. one on one shadowing session at a live local show. 8 chapter, 80 page Live Audio Engineering Textbook PDF. $50 paid in advance. Includes digital document packet. Requires 40+ pro or intern engineer hours or completion of 4 weekly intro classes. Covers digital consoles, monitor mixing, iPad mixing, RTA software, touring tips, venue management, system design & tuning, live acts, pro guest speakers. Monday 6pm to 10pm, $50 in advance. Requires 300+ pro hours. Major artist touring engineer guest speakers share tips, new gear, advanced techniques, and road stories. Includes digital document packet. Intro to basic live sound concepts and hands on mixing. Instructor Paul Minor is a 30 year veteran of the Austin music scene, Austin Music Awards Hall of Fame member, and a graduate of St. Edward's University Masters in Human Services program. He has toured with major artists including Fastball, Joe Ely, and the Texas Tornados, and has installed, maintained and operated sound systems in numerous venues throughout Texas.